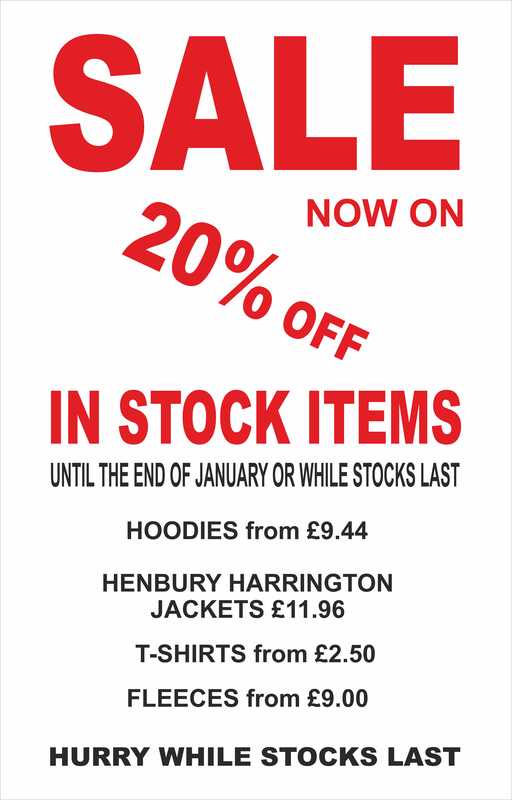 20% off Hoodies, T-Shirts, Polo Shirts and more. 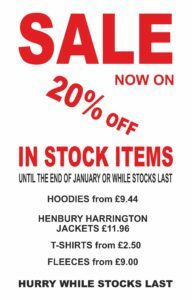 Some Items even bigger discounts. Just to let everyone know that we have moved to new premises in Broad Street Barry. We’ll post some pics as soon as everything is sorted out. We are in 21 Broad Street formerly known as Jackpots. We’re near Izmir the Turkish & Greek restaurant on the corner of Island Road and Broad Street. Please call in to say hello and see our fab new shop! 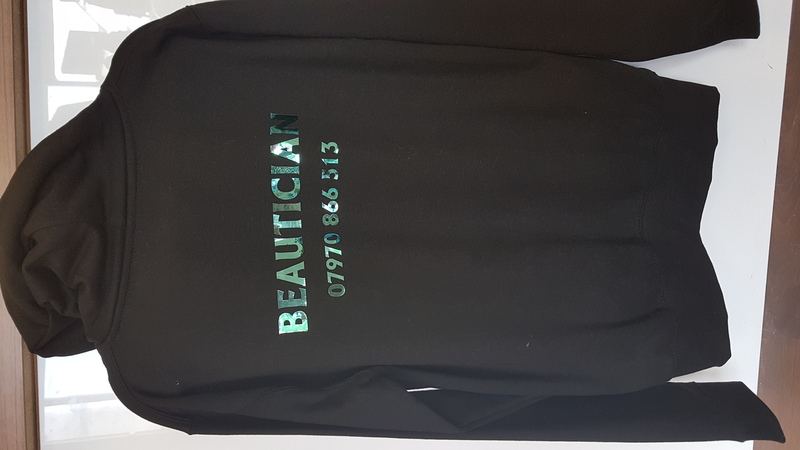 We were asked to custom print a black hoodie for a local beautician called Chic Creations who are based in Park Crescent in Barry. 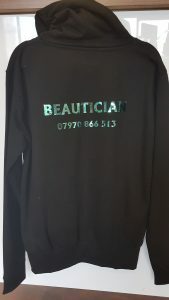 The customer asked for our special mirror-type printing which is available in different colours. Our customer chose a turquoise shade which looks eye catching on a dark background. Please contact us for a quote for custom printing. 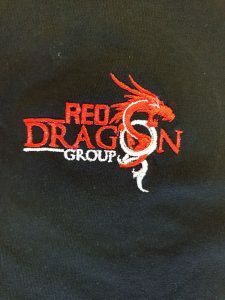 We were asked to embroider a red and white logo for the Red Dragon Group who are commercial cleaners based in Cardiff. 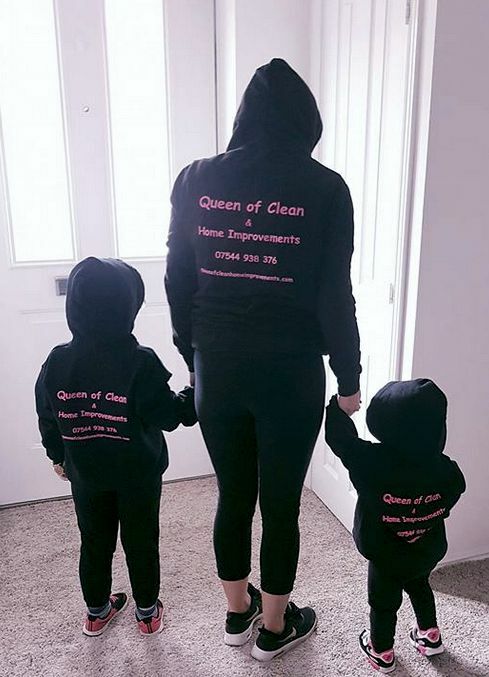 The customer provided their own black t shirts. The logos were printed on the chest and a safety logo was embroidered on the sleeve. 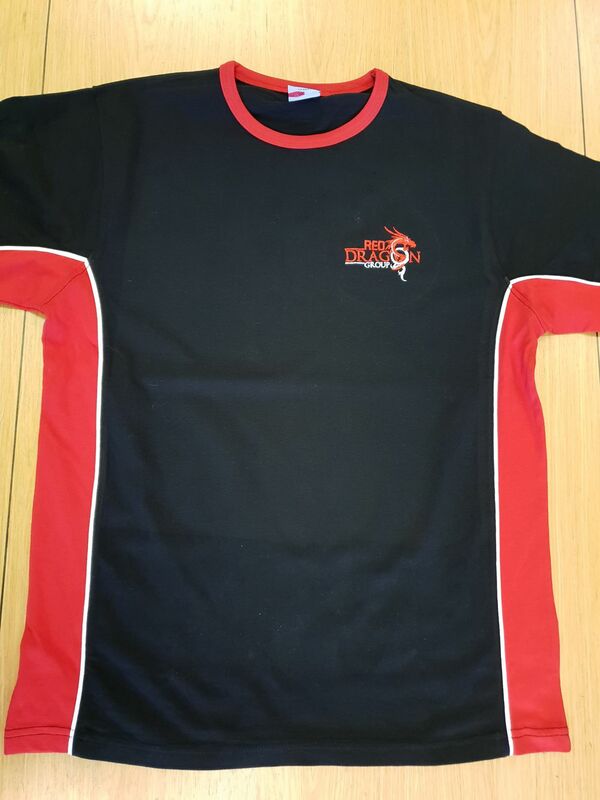 We supply top brands of workwear which are specially designed to be long lasting, comfortable and to look good. 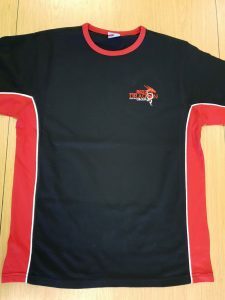 We provide an optional design, print and embroidery service to customise your workwear with your company name, logo, contact details, message or other design. Please contact us on 01446 678326 or email us at enquiries@vinylize.wales for prices. Our best sellers are for sale on this website but we have a vast range and we are always happy to show you our trade catalogues so that you can find exactly what you want. We can supply customers across the UK. You can also call into our shop in Barry near Cardiff in South Wales if you are local. 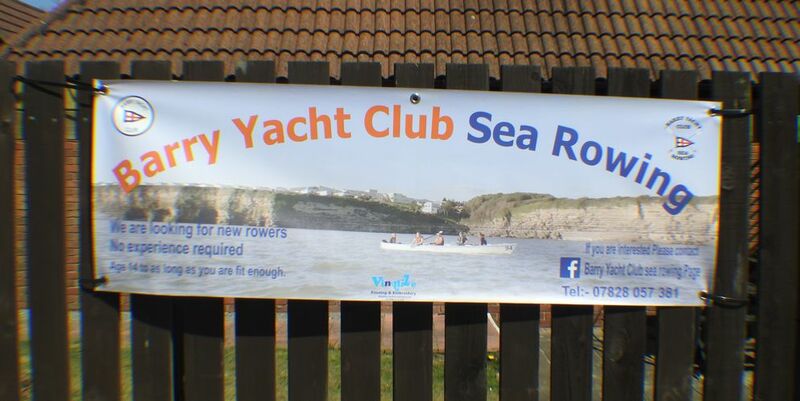 We were delighted to be asked to design and print a custom vinyl banner for Barry Yacht Club’s Sea Rowers. This club are looking for new members and wanted a colourful sign to promote this message. We used a full colour photograph of Fontygary Parks in Rhoose near Barry. The photo was taken from the Bristol Channel as this is an interesting view rarely seen by the public. All of our vinyl banners are durable, waterproof, high quality and have metal eyelets which allows easy fixing. Prices start at only £17! 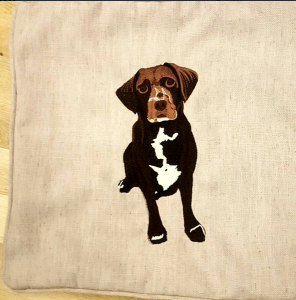 One of our customers asked if we could embroider one of her cushion covers with a design based on a photograph of her beloved dog. We digitalized the photograph and we were able to create an amazing likeness in embroidery. If you would like a similar item please get in touch. Our embroidery service is very popular with pet owners and animal lovers who are looking for a custom or personalised gift or lasting memento. 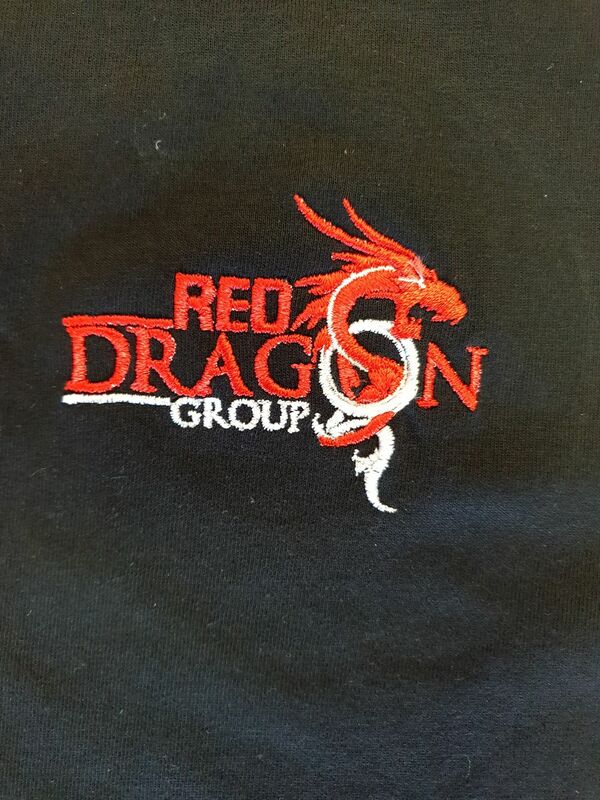 The embroidery looks great on blankets, t shirts, cushion covers and bags. You are welcome to supply your own fabric item or we can supply a vast range. Please click to browse our Catalogue for ideas and prices. Please note that the prices shown do not include embroidery or printing. Please ask for a quote. 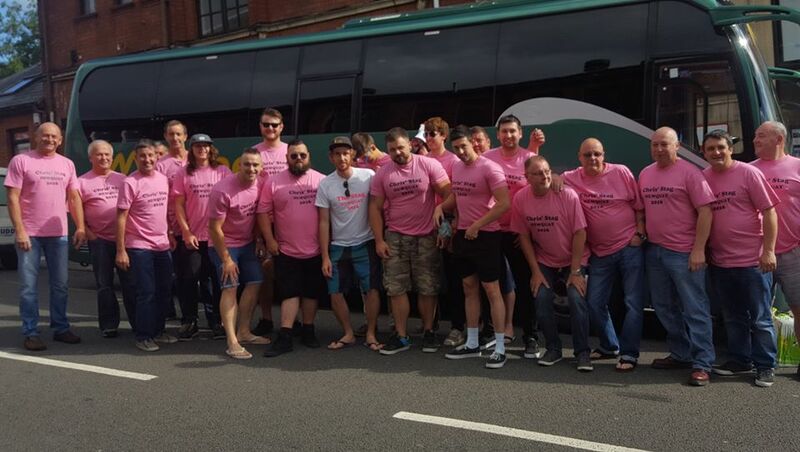 We were delighted to be asked to print tshirts for a stag weekend. Thanks guys for the pic! If you need t shirts custom printed for your event or stag or hen party then please get in touch. We offer discounts for bulk orders!